Still using word docs and spreadsheets to manage your sales? 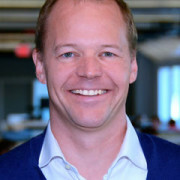 Want to get your sales methodology on Salesforce.com quickly? Lack of proper qualification is the #1 cause of slipped deals. 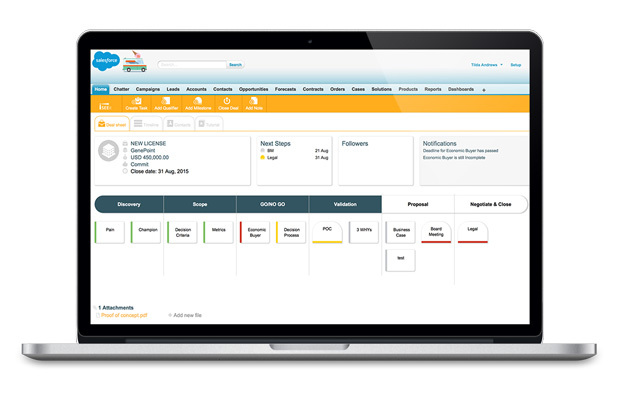 iSEEit allows you to qualify based on your sales process right within Salesforce opportunity management. Eroding forecasts and slipped deals are a sales team’s biggest enemies. Eliminate ‘hopecasting’ with evidence-based forecasts visible on forecast and report levels. Sales teams that follow a consistent sales process generate up to 30% more revenue. iSEEit makes it easy for your team to stay on track with your process – right in Salesforce. If you’re still using spreadsheets to manage your sales methodology, you’re in danger of losing critical opportunities. With so many reps and so many deals to track, keeping up with the latest versions is a nightmare. And it’s impossible to know what’s been accomplished and what needs to get done. Trash your spreadsheets for good with a platform that lets you easily manage you entire sales methodology – right on Salesforce.com. iSEEit comes with a sales qualification methodology right out of the box (MEDDIC), but can be easily customized to the process or methodology of your choice. No more endless fields. No confusing tables. Just an interface your sales team will want to keep up to date. See with one glance what steps are missing from your deals, so you can take action without losing time. No struggling to find the latest version of a deal’s status. It’s all online and always up to date. Instantly find out how many demos have been completed, how many POC’s are pending, and which reps are underperforming. Easily create, assign, and track even the most complex tasks and keep them linked to the right deal – so you can drive your deals and keep your whole team on the same page. See what qualifiers are missing and which milestones are complete on every submitted deal. No more relying on ‘hopecasting’ when it’s time to plan your quarterly revenue. Give your sales team a reason to keep their Salesforce data up to date. 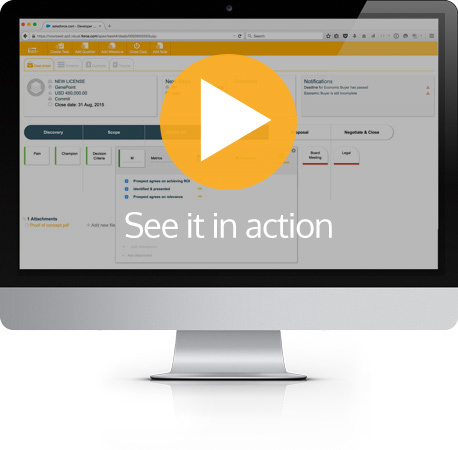 Request a 15-minute demo of iSEEit on Salesforce and experience CRM the way it should be.